What? You were expecting Mitt Romney to grace the Nike swoosh? FOH. Brass Monki put their artistic talents to the test and plastered our Commander-in-Chief on a pair of custom Nike High Dunks. The perfect footwear to wear headed into the voting booth as we approach Election Day. 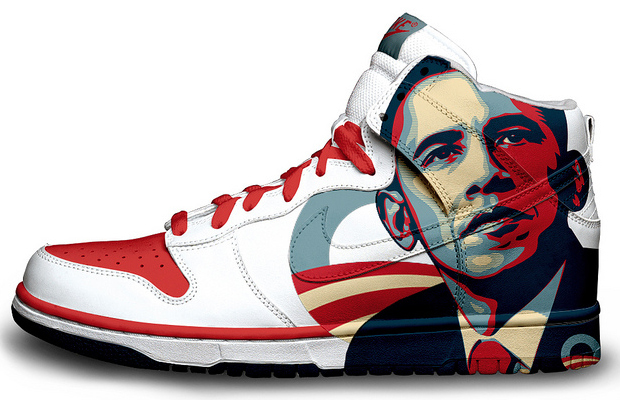 Don’t you think Give us your thoughts on the Obama Nike kicks. Salute!